Anushka aka Sweety even spoke about being called as the lady superstar and said she rather prefers to be called Anushka. Actor Anushka Shetty’s latest outing ‘Bhaagamatyhie‘ has been having a successful run in cinema halls and the film will soon cross the Rs.50 crore-mark at the box office. Audiences and critics have been lauding the actor’s performance in the film proving how bankable she is. 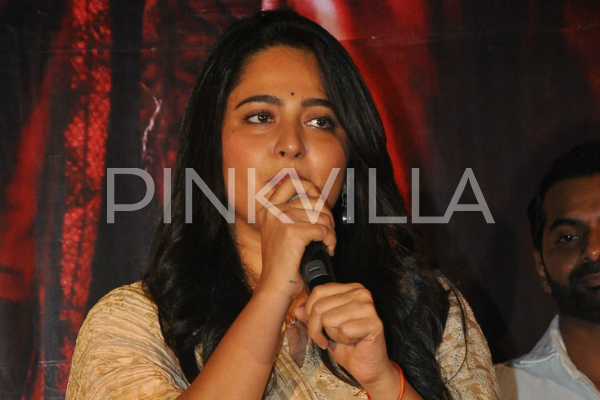 Reports were afloat that Anushka was part of the production of ‘Bhaagamathie‘ and she also has a stake in the profits of the film, which the actress has now clarified about. “It’s not true. I only took my remuneration and it is unlikely that I will produce a film in the near future too. I am not good at handling finance and not good at business either, so I don’t want to produce a film,” Anushka Shetty was quoted as saying by a report in DC. Speaking about the much spoken about her wedding, Anushka she does believe in marriage and does want to get married. “I totally believe in marriage, but I want to get married and have children at the right time and when I meet someone who connects with me. I like children very much but I don’t want to marry out of compulsion. When I was 20, they started telling me to get married! But it has to come at the right time and they know the person that I am. They respect what I feel and don’t pressurise me anymore,” says Anushka Shetty. She is probably the only secure and level headed actress (actor) in the country now. Please don’t pressurize anyone to marry….everyone wants to be married and stay happy but things also should fall into place……Be Happy Anushka wotever be ur decision…. I wish all Indian women could say this or had the freedom to express not traditional opinions like she did. Well said! No one should be pressured to marry or have children.